You know that getting a massage can help you relax and relieve stress, right? And you definitely know it feels great, too. But all too often it seems to come with underlying guilt of feeling like you’re spending frivolously on some unnecessary luxury, like a solid gold toilet seat or a perm for your Pomeranian. Well, feel free to get your rub on, because here are three totally legitimate reasons why massage therapy is worth every penny spent. Getting a massage is good for your health? Yep! First of all, when you’re stressed, your body releasing the hormone cortisol which lowers the body’s defenses. There have been clinical studies done that show getting a massage can naturally increase the immune system’s natural “killer cells.” So what are these “natural killers”? These cells are like the head honchos of the immune system – they kill cancer cells, bacteria, viruses and more! Speaking of cortisol, researchers have measured the stress hormone cortisol before and after massage and have found it to relieve depression and anxiety in the participants. Cortisol has been known to increase blood pressure and suppress the immune system, but massage helps lower the hormone’s levels in the body. It also increases serotonin and dopamine – the body’s natural “happy” hormones. Massage also does a great job of releasing the body’s toxins by stimulating blood flow, which naturally makes you feel better, too. 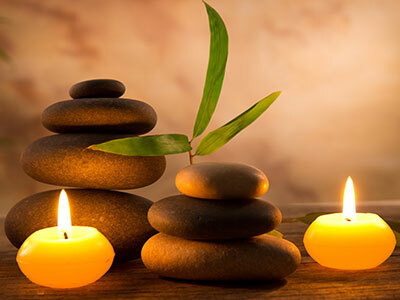 Massage is also said to help balance and connect the body and mind, providing relaxation and peace, which significantly reduces depression and anxiety, as well. A reported 80 percent of working adults have sedentary jobs. Receptionists, office managers, researchers, writers and more. It’s a well known fact that desk jobs, particularly those involving computers and typing (as is most likely the case), lead to severe neck, shoulder and back tension. This is called postural stress. Regular massage helps to relieve this tension so that the muscles are loosened and relaxed, allowing the body to go back to a more natural and comfortable position in which the ligaments are more free to move properly. In today’s society, we tend to be deprived of human touch. What with social media and texting, a lot of our interactions are not done face to face. In some cases, this can lead to emotional distress. Emotional distress can lead to physical ailments. Our bodies are machines; all parts need to be in good working order or it all starts to run down. Humans need physical stimulation. The moral of the story is, if you begin to feel like your weekly – or monthly – massage is becoming an overindulgence, think again. Massage therapy has been linked to a wide variety of scientific studies to prove its value and benefit.